I Caught ML Reading the Dictionary | What is ML Reading? Saturday was a cold day in NC. I found ML sitting in front of the heat vent reading her new dictionary. Santa brought it to her. She actually asked for one from him. He looked at several options at our local bookstore. The American Heritage Children’s Dictionary seemed the best choice for ML. Loving that ML loves words like her Mama. 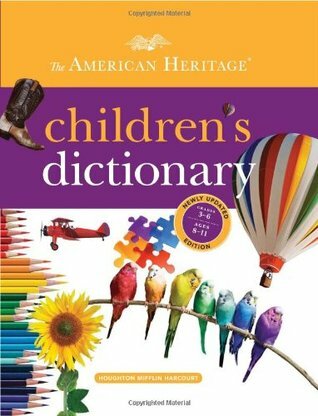 This entry was posted in Nonfiction Book and tagged American Heritage Children's Dictionary by mlreads. Bookmark the permalink. Pingback: The Right Word: Roget and His Thesaurus | What is ML Reading?